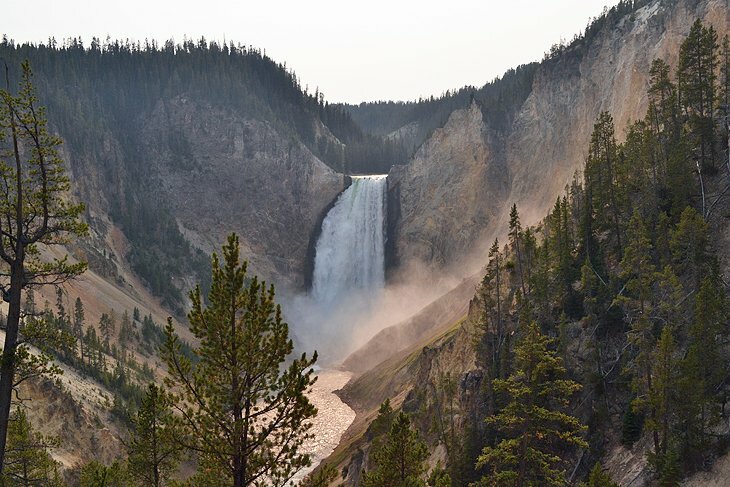 While Yellowstone National Park might be best known for its wide array of hydrothermal features, the nation’s first national park also delivers on some jaw-dropping views. No better example of that can be found than at the Grand Canyon of the Yellowstone. With two rims to explore, and massive canyon walls to admire, even with the viewpoints, it’s a challenge to comprehend the enormity of it all. On the North Rim, a recommended course of adventure includes the switch-back-filled Brink of the Lower Falls Trail, where you can nearly feel the water splash before it falls 300 feet into the canyon below. On the South Rim, Uncle Tom’s Trail offers great views of the Upper and Lower Falls and serves as a worthy place to enjoy a picnic.